Akzium's Backup and Recovery Solutions team works with all of the major backup software vendors such as IBM's TSM (now called Spectrum Protect), CommVault, Asigra, EMC Networker, EMC Avamar, HP Data Protector, Symantec/Veritas Netbackup, Veeam, Unitrends, Actifio and many more. In addition, pairing Enterprise Backup solutions with both tape library systems and virtual tape storage devices such as those from IBM, ExaGrid, Data Domain, FalconStor and Cybernetics can dramatically improve both backup times and efficiency. Having worked with petabyte-scale backup systems in datacenters for Fortune 100 companies, Akzium knows a thing to two about enterprise-scale backup solutions. Contact an Akzium team member to get started with transforming your backup environment. Akzium has partnered with companies like CloudberryLab, Amazon Web Services, IBM Softlayer, Google, Rackspace and more to bring secure, highly available offsite storage to enable offsite backup and archival of mission critical SMB customer data. CloudberryLab offers an agent-based backup solution that can provide both onsite backup as well as fully integrating with offsite storage solutions such as Amazon's S3 cloud storage. With agents for Exchange and SQL as well as system state backups and support for Windows Server 2008 thru 2012r2, CloudberryLab enables Microsoft-centric shops to cost effectively and securely move data to a safe offsite location. You can get our Step-by-Step setup guide HERE for integrating CloudBerryLab with IBM/Softlayer Cloud Storage. Using Microsoft's Azure Platform, Azure Backup Server and Hyper-V's Azure integration (both with VMM and Azure Site Recovery), Akzium can create a full recovery solution for your Windows Server and Hyper-V environments. Using the Hyper-V Replicate to Azure feature and Azure Backup Server, backups and replicas of Hyper-V VMs can be saved to the Azure platform. With the Incremental Forever option, a full server backup is done once and then only changes are backed up or replicated thereafter, making the push to Azure cloud storage more bandwidth friendly. Point-in-time restores from cloud hosted storage can facilitate a disaster recovery plan that is both cloud-friendly and usable to restore to local hardware after a disaster event. 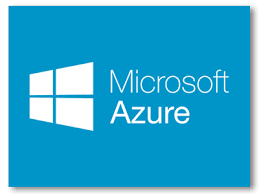 Akzium engineers can also assist with full recovery of replica and backup VMs into Azure hosting. Zerto’s award winning hypervisor-based replication software enables alignment of your Business Continuity & Disaster Recovery (BCDR) plan with your IT strategy. By using hypervisor-based data replication, you can reduce DR complexity and hardware costs and still protect your mission-critical virtualized applications, servers, and databases whether you’re using VMware’s vSphere hypervisor or Microsoft’s Hyper-V.. Ensure consistent application protection and recovery with Zerto’s Virtual Protection Group, with or without Windows Volume Shadow Copy Service (VSS) support. HotLink® DR Express™ is a dramatically simple VMware Ready plug-in for VMware vCenter that extends administration and management capabilities to include backup and replication plus DR/BC at Amazon Web Services (AWS) for both VMware ESX and Microsoft Hyper-V hosted virtual machines. Within minutes of a failure, you can automatically recover VMs into an AWS data protection site and continue managing the workloads using VMware vCenter. If spare capacity exists, you have the flexibility to restore on-premise as well. Best of all, the cost is no more than basic backup. Akzium has implemented Veeam's Backup and Replication solution for VMware and Hyper-V environments for many customers. Now, with the release of Veeam v8 customers can use Veeam for onsite backups of their VMware or Hyper-V based virtual machines, and then securely store those backups to a cloud storage provider using AES 256-bit encryption. Vision's High Availability and Disaster Recovery solutions have been trusted for more than twenty years and were among the first replication software products ever created. DoubleTake for Windows, Linux, AIX, VMware and Hyper-V assist with real-time data replication, while Vision's Mimix and iTera products help protect your IBM System i (AS/400) platform data and system state information, all with automated role swapping and integrated data integrity checking. In addition, Vision's DoubleTake Share assists with replication of database data changes even between different vendor databases. What is a Virtual Tape Library? A VTL is a storage device that emulates one or multiple tape drives/libraries. It's designed to greatly reduce your backup window and increase your restore speeds, especially when compared to tape drives. They can also reduce the amount of disk storage you need for long term data retention and minimize the bandwidth required for site-to-site replication. Why emulate tape? By appearing as tape, you have 100% compatibility with any backup software that supports tape without any operational learning curve. This includes BackupExec, ARCserve, CommVault, Tivoli, DPM, native i5/OS backup commands, BRMS, Robot/SAVE, IPL and many more. There are no additional software/agents required. 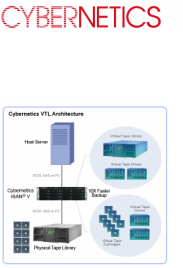 Whether you're running Windows, IBM AS400/OS or any Unix derivative, a single VTL can protect your entire data center easily. LaserVault is a virtual tape emulation software that turns a Windows server into a virtual IBM System i (AS/400) recognized tape drive. Data can then be replicated to an offsite storage container via several different methods including mirroring to cloud-hosted object storage. 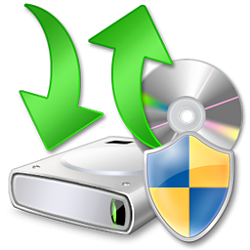 Storix Software has backup, bare metal and data replication software for Unix (Solaris and AIX) and Linux. Contact your Akzium rep today to find out more about our secure onsite and cloud backup solutions.